This white canopy cover replacement is made of made of triple layer, rip stop polyethylene, chemically heat bonded to reduce tears. 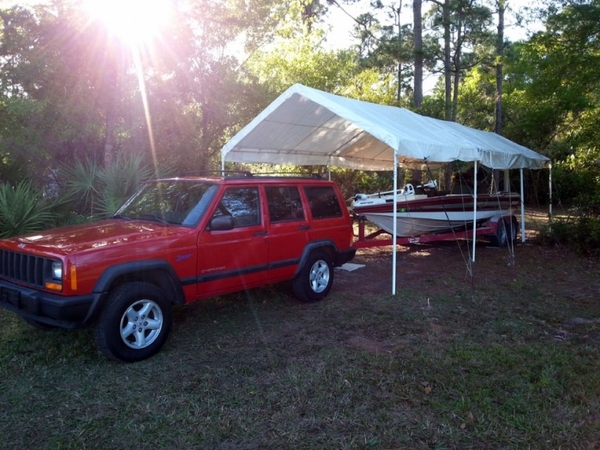 The UV-treated material is flame retardant and contains fade blockers, anti-aging and anti-fungal agents to keep your canopy looking its best while it protects your equipment from the elements. 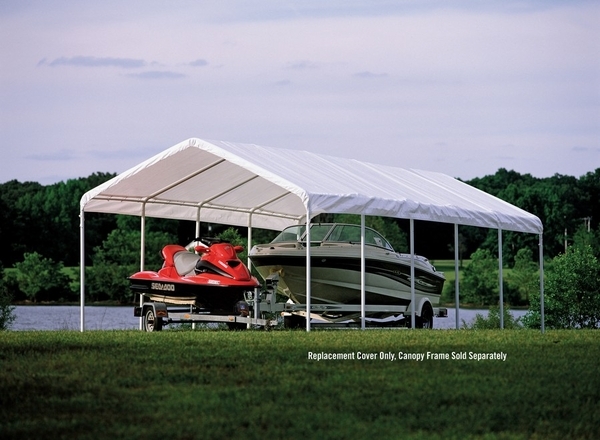 This item does not include the canopy frame, but only replaces the fabric canopy. This Shelter Logic product carries a 1 year warranty. Comes in white only. Removed from box, laid it out and It installed without any trouble. Perfect fit looks good!